The D word will be as offensive as the N word': The term 'disabled' is insulting. 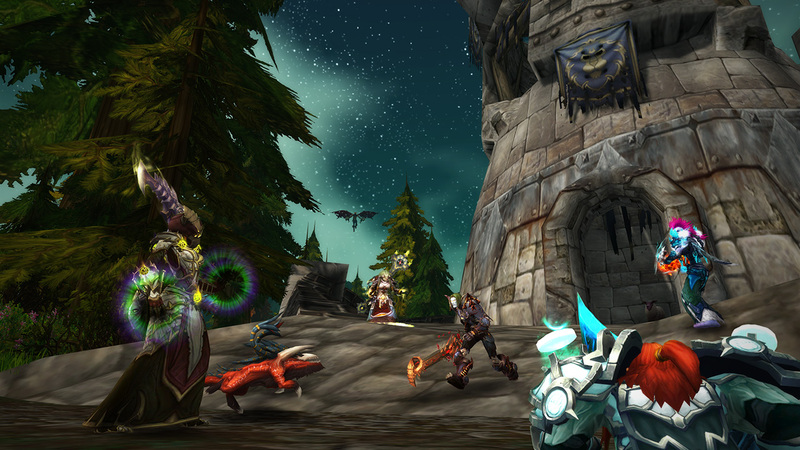 Get ready for cold weather in this week’s PvP Brawl: Arathi Blizzard— running April 16-23. Jump into Arathi Basin for a head-to-head for battle against AI opponents in this classic battle. Deep Six pits teams of six players against each other in three iconic Battlegrounds: Warsong Gulch, Silvershard Mines, and Temple of Kotmogu. 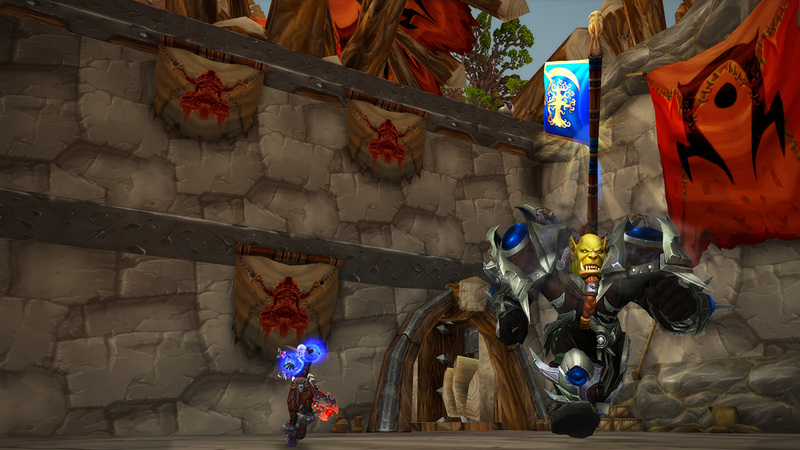 Each Battleground offers a little variation on the traditional format, such as flags that are a bit closer in Warsong Gulch, less carts to keep track of in Silvershard Mines, and only two orbs within the Temple of Kotmogu. Put away your bathing suit, pull out your parka, and enter a winter wonderland as the Arathi Basin you know and love gets a fresh coat of ice and snow. You'll be racing your way between the farm, stables, mine, lumberyard, and blacksmith through piles of snow and over a - mostly - frozen lake. One more thing: the weather forecast calls for a bit of fog of war. We hope you're prepared for the weather. Gravity getting you down? Step into the Eye of the Storm and be prepared for a whole new en-lighten-ing experience. Every minute, players on the battlefield will find themselves launched into the air, only to gently fall toward the ground again in a perpetual aerial ballet as they try to accrue enough resources to take the win home for their team. Do you have a flag? 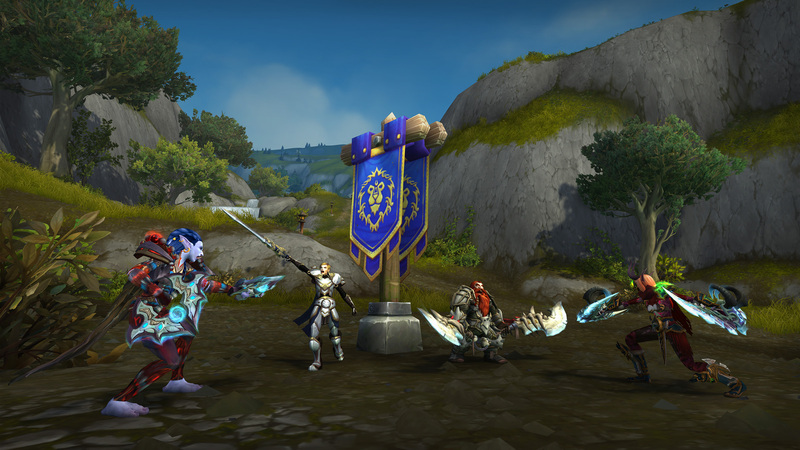 Warsong Gulch has always been the scene of an epic capture-the-flag battle, but what happens when you can capture your enemy’s flag without your own at base? Or if there are multiple flags at each base? 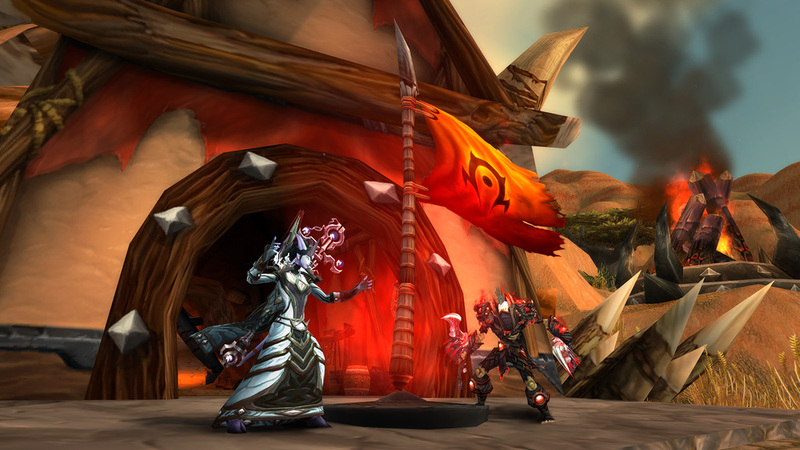 Find out when you step into this PvP Brawl! We’ve also added a few more power-ups to the field of battle to stir things up a bit. To win, your team will need to be the first to capture 10 flags. 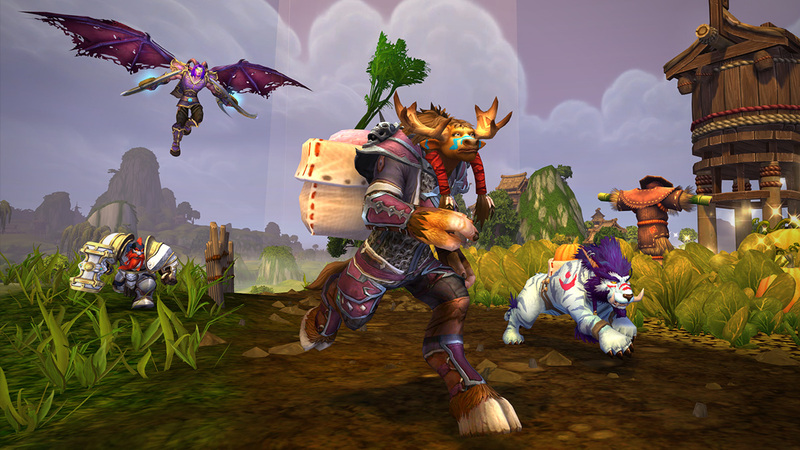 Nomi is hosting a Pandaren Chili Cookoff in the Valley of the Four Winds between the Alliance and the Horde! 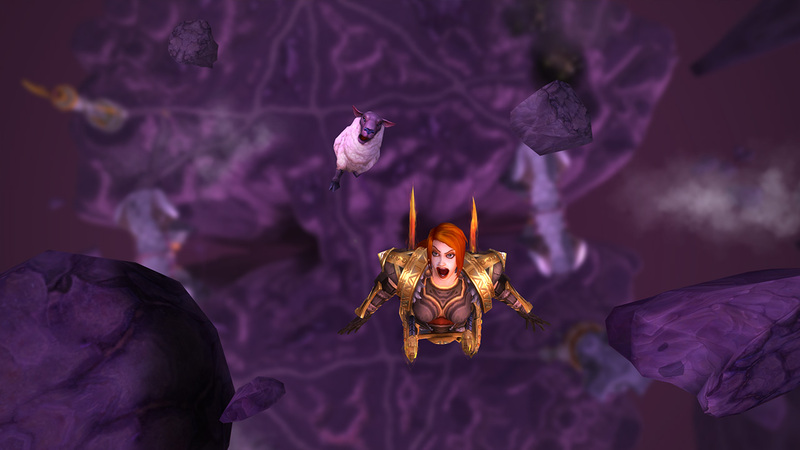 The first to bring Nomi all of the required ingredients wins. Can you even dunk? 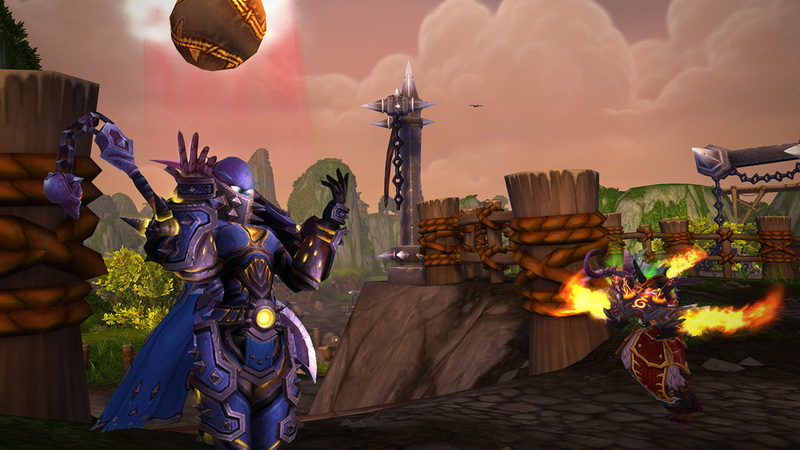 If you want to win this brawl, you’re going to need to work on your skills because Dunkball has come to Pandaria. You’ll race to claim balls from the map’s center, or northern, or southern mines, take them to your enemy’s base, and then go for a magnificent long range shot or go all in for the dunk. 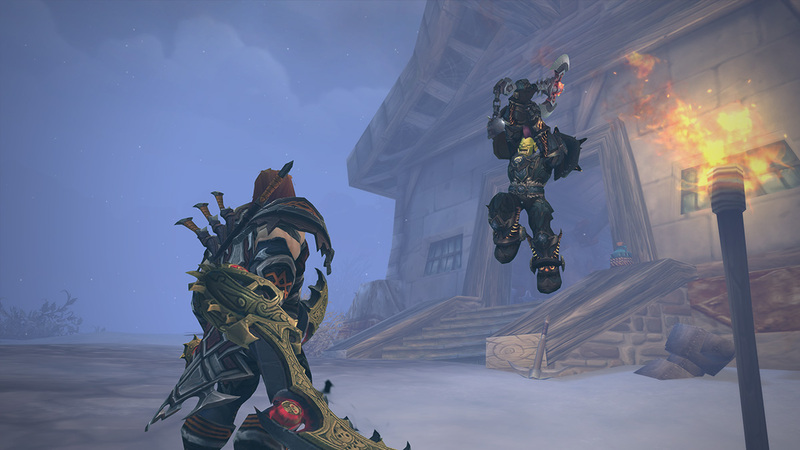 Originally introduced as a part of the World of Warcraft 10-Year Anniversary event, this Brawl harkens back to the early days of WoW PvP, with an epic battle between the two towns of Tarren Mill and Southshore. In this game of war, you’ll need to work as a team and deplete your foes’ resources to claim victory. We’ve put more PvP in your PvP! In Packed House, there’s nowhere to hide as you face not 2, not 3, not 5, but 15 adversaries in this 15 vs. 15 Arena battle. Every other week, a new PvP Brawl will be available to players looking for something just a little different. 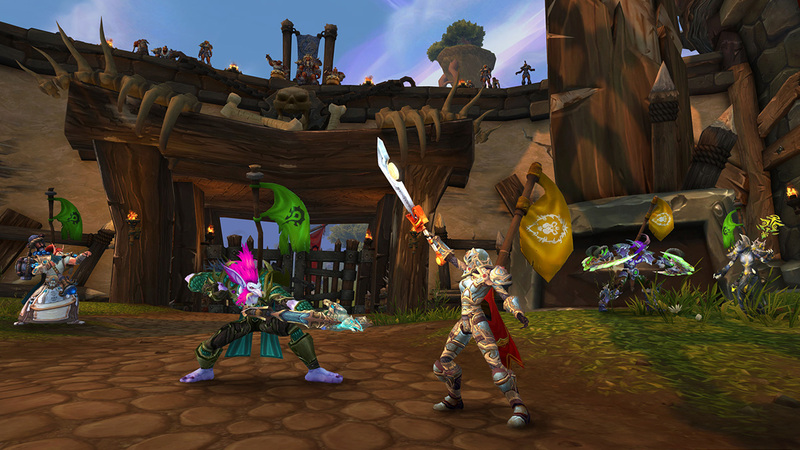 Each Brawl will offer a variety of modes, rules, and scenic changes to the usual Battleground gameplay, and you’ll find them in the Group Finder tool (hotkey “I”) in the Player vs. Player tab. Just like Random Battlegrounds, you’ll receive a reward for achieving victory.